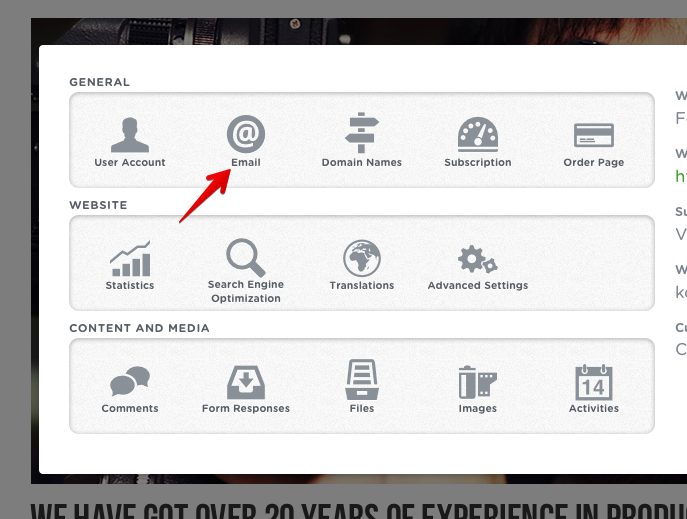 How to create an email alias for your domain. An alias is a name that redirects email to an email account. In other words, it is not an account in itself. There is no additional cost for creating an alias. 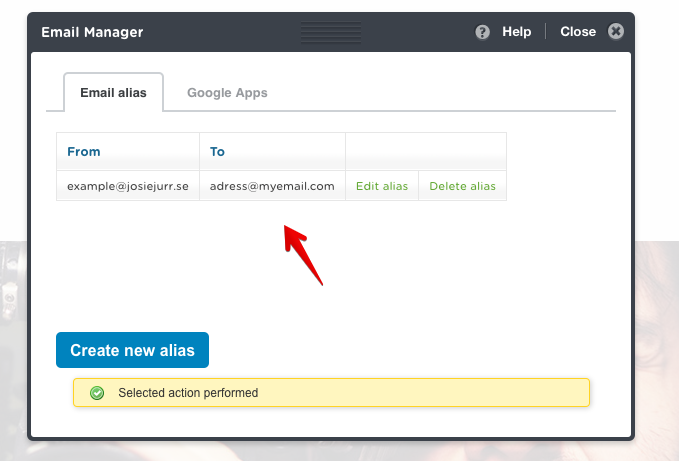 Step 2: Click on "Email"
Step 3: Click on "Create new alias"
Write the name for your alias and also the adress to your email account. 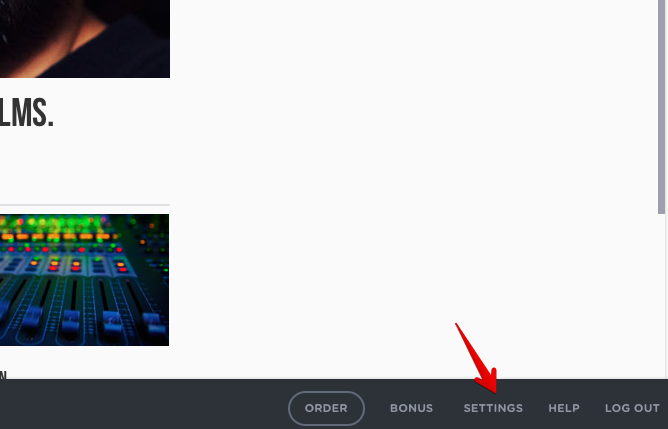 Click on "Create alias". 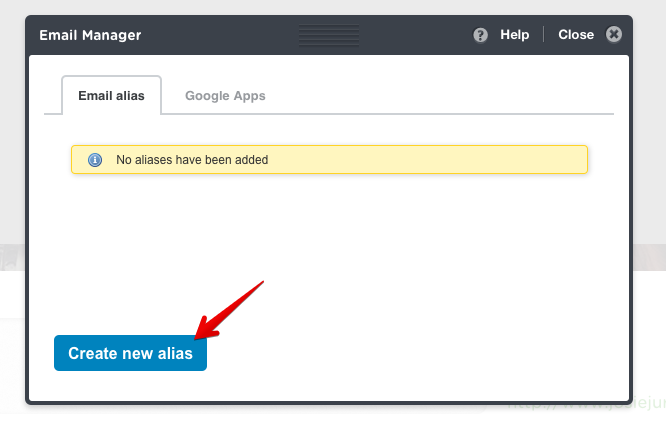 You can now view your alias in the list.